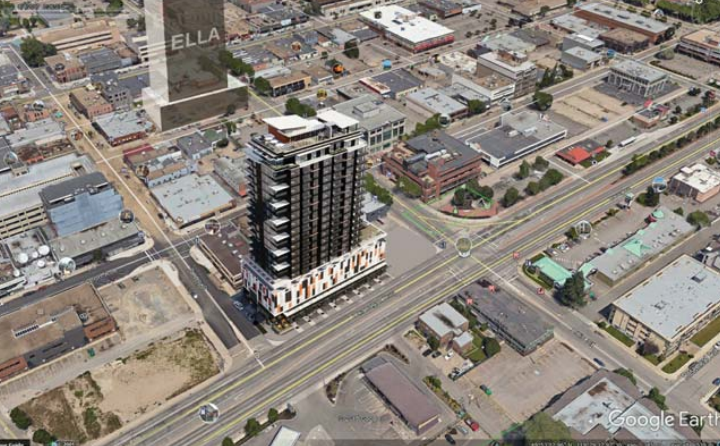 Another high-rise building has been proposed for downtown Kelowna. 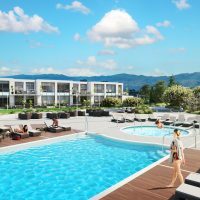 An undisclosed Kelowna-based development group has proposed Aura, a 22-storey, mixed-use structure to be built on the northeast corner of Harvey Avenue and Pandosy Street. The Dragon King currently sits on the lot, but the restaurant’s owner is one of Aura’s developers. Aura will be different than other high-rise, downtown projects because the developers plan to use part of the building for short-term rentals only. The proposal includes 102 residential units, with 15 floors dedicated to residential use. Except for the penthouse level, each floor has proposed three “lock-off” units—or 42 overall—that could be used for short-term rentals. It all depends, of course, on what happens with the short-term rental regulations that are currently before city council. The site doesn’t need rezoning, so it will need only one reading at city council, likely either in January or February. That means work could possibly start on the building next summer and be completed in a couple of years. 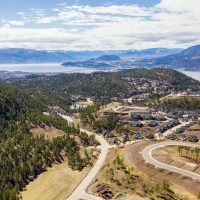 The city worked hand-in-hand with the developers and New Town architects from the beginning, so chances are good there will be few roadblocks. The only variances that need to occur are allowing for a 22-storey building in an area that permits only 12 storeys and a minor parking change. The project was originally going to cover a larger area, but the developers were unable to acquire the neighbouring parking lot that sits on the northwest corner of Harvey and Ellis.